Minister of State for Antiquities Mohamed Ibrahim told Ahram Online that he has proposed inserting two articles in Egypt's new constitution to protect the country's heritage. The first article stipulates that the community, with its diverse ideological and political segments, should protect and preserve Egypt's cultural and archaeological heritage and prohibit the tampering with, mutilating, or defacing of it. The second article, said Ibrahim, urges state authorities to wide spread cultural and archaeological awareness among Egyptians and in regional and international communities. It also proposes for stronger protection of the country's intellectual rights in the field of antiquities. 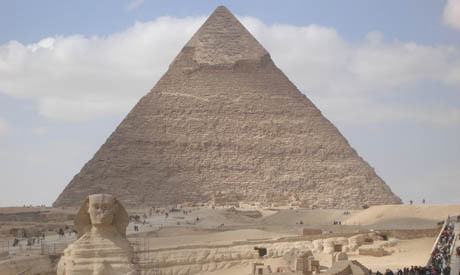 Ibrahim told Ahram Online that these additions are a must because it would protect Egypt's archaeological heritage from further abuse, especially if the country's regime changes its approach to heritage. Mohamed Ramadan, director general of legal affairs at the Ministry of State of Antiquities (MSA), asserted that this addition came because the old constitution did not have any article concerning the protection of the country's cultural and archaeological heritage. In the old constitution, Ramadan said, antiquities did not have its own article, but its protection came as part of the state's care of all rights and freedom, which does not bode well with Egypt's diverse heritage. Both suggested articles were sent to Ali Awad, the president's advisor for constitutional affairs, and the person in charge of the Supreme Committee for Constitution Amendment.